Welcome back! This is a jam-packed newsletter. 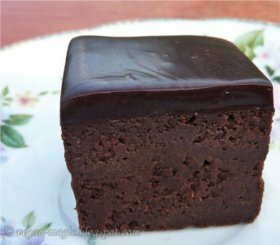 Adriana’s chocolate brownies will leave you speechless. Somer’s recipe for pizza has homemade vegan cheese that stretches! Enjoy the sunny photo journey with piglets and friends. Then dive into tackling some interesting animal rights issues. Is Palm Oil Vegan? — When is vegan, vegan enough? What About GM Soya? — We take a look at whether vegan products contain GM soya and where all the GM soya goes. Non-Dairy Milk Riding High On The WhiteWave — Is sabotaging the efforts of MNC’s to expand the plant-based market necessary, or counter-productive? Why Not Single Issue Campaigns and Petitions? — This article is sure to ruffle feathers and get discussions going. Look At These Great Recipes! Vegan Margherita Pizza — Somer has achieved the near impossible: a stretchy vegan cheese you can make yourself! Also included is the recipe for the pizza dough and pizza sauce. Yum-mee. Vegan Chicken Fingers for Kids — Fun, snacks for your family from Nancy. Raw Vegan Lasagna — What a goldmine from Staci. Includes recipes for the cashew cheese, tomato sauce, basil pesto and how to combine it all into a delectable masterpiece. Hi-Protein Snack Bar © — Perfect for cyclists, busy execs and kid’s lunch boxes. Minestrone Soup — Delightfully tasty and nourishing soup from Nancy. Vegan Parmesan — Mattie has created fascinating flavours for you. And it is so easy to make. Visit the Elated Amazon Store to get a large variety of books, videos and cosmetics. Keep on using your consumer power wisely. Your purchases are changing the world! 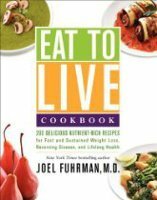 Eat to Live Cookbook — Brand new from Dr Joel Fuhrman with 200 delicious nutrient-rich recipes for a vibrantly healthy you. Eat Like You Care — If you have any questions about veganism, then this book by Prof Gary L Francione is for you. Now out in paperback and Kindle versions. Can you believe it is one year since Elated started up again. Thank you for hanging in there and continuing to be interested in the lives of farm animals, even when the truth is sometimes hard to bear. I truly hope you have been enriched with vital knowledge, achieved a certain peace in your struggles to save animals, as well as cooking (or uncooking) a vegan storm in your kitchen. I’m loving the feedback I get from you, so keep it coming. Constructive debate is always positive. Social justice movements thrive on it. Know in your heart that you are a part of the solution. Transitioning towards veganism is the best way you can save the lives of animals. Together we are making this world a better place. For humans and animals.